Even though the precious metal gold only occurs very rarely indeed, it can be found almost everywhere on the planet in the 16 kilometre thick Earth’s crust. But the amount of gold in the earth is extremely small, so that mining is not really worthwhile. Generally there are two types of gold: primary gold (“mountain gold” from mines) and secondary gold (“stream gold” , “nuggets”). Above all the extraction of primary gold is associated with considerable effort. There are various methods to free the gold particles from their solid mantle in the ore extracted underground. The most important of these will be described here. The process of cyanide leaching is mainly used where the earth has a high gold concentration making an industrial development worthwhile. For this process the gold-bearing rock is crushed to sand and dust. Subsequently, the rock dust – piled in heaps, columns or stored in tanks – is combined with a sodium cyanide solution (sodium salt of hydrogen cyanide acid HCN). The acid detaches the gold from the rock dust and transports it in the acid seepage fluid in a chemically bound form. Subsequently, the gold is filtered out of the leach solution by adding zinc dust., then washed out of the muddy substrate and finally dried. The recovered raw gold is later refined into fine gold. Major reservations exist against this method of extraction due to the release of highly poisonous, easily flammable hydrogen cyanide acid, which presents significant risks for human beings and the environment. The amalgam process is the oldest technical method of extracting gold and was used in antiquity. With the amalgam process the gold bearing rock is likewise crushed to fine sand. Afterwards mercury is added to the rock dust. Gold has the property that enables it to join to the surface of the mercury. The gold enriched mercury forms a silvery shining alloy solution, the so-called amalgam. The amalgam collects at the bottom of the mixing container and is easily separated from the other minerals. Subsequently, the amalgam is heated until the mercury evaporates leaving the pure raw gold. This method also involves dangers to health and the environment experienced when vaporizing highly poisonous mercury. Elecrowinning is in the meantime a frequently used process whereby gold is extracted without the use of toxic substances. This method uses an electrochemical approach. Here advantage is taken during the extraction of other precious metals such as f.e. copper or zinc where also small quantities of gold are found in the extracted rock. In the process of the electrolytic cleaning of the rock sludge the anode activates the precious metal bearing rock sludge. The cathode is made of a piece of pure metal. During electrolysis, the gold in the raw rock material is not dissolved and collects as a sludge under the anode. Together with gold other precious metals (f.e. Silver, copper, lead, tin) concentrate in this anode-sludge and can be easily skimmed off. Then using a suitable process the individual precious metals can be separated from each other. The borax process is also an environmentally-friendly method of extracting gold. Here the gold-bearing rock material is placed in a melting crucible and then borax (sodium borate) is added. The borax sinks the melting point of the ore mixture and makes the molten mass more fluid. 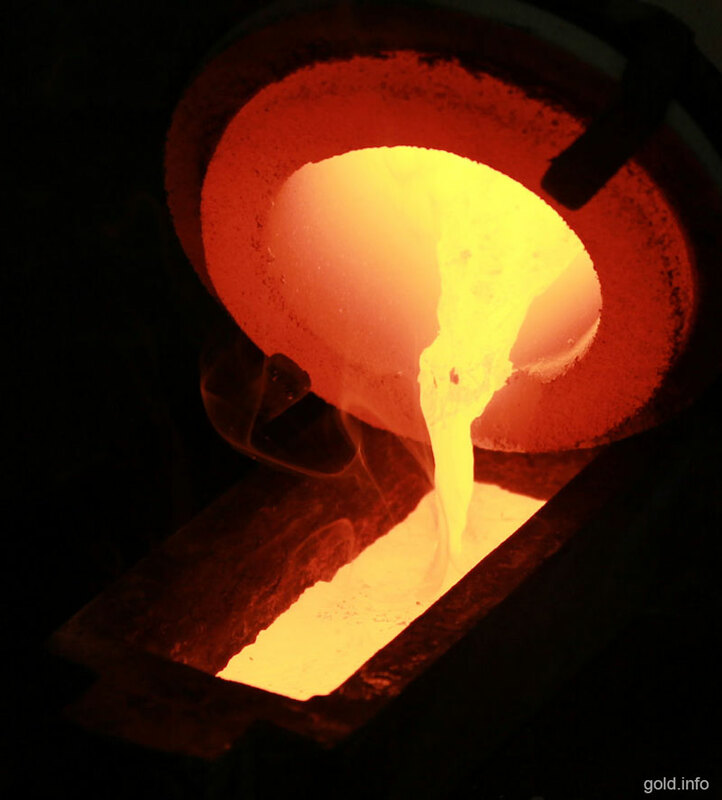 The low melting point thus enables gold to be extracted using a cost effective, low power heat sources to bring about melting. The gold sinks to the bottom of the crucible, whereas other rock material such as silicon, quartz, ore or generally all oxides rise to the top.